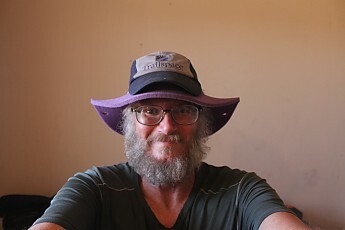 Found the purple brimmed foam hat at the Tucson fairground last month, now under my Trailspace hat! That is pretty funny, Gary! Thanks for sharing.